XENIA — Incumbent Rick Perales is being challenged by Kim McCarthy in the Ohio House of Representatives 73rd district. 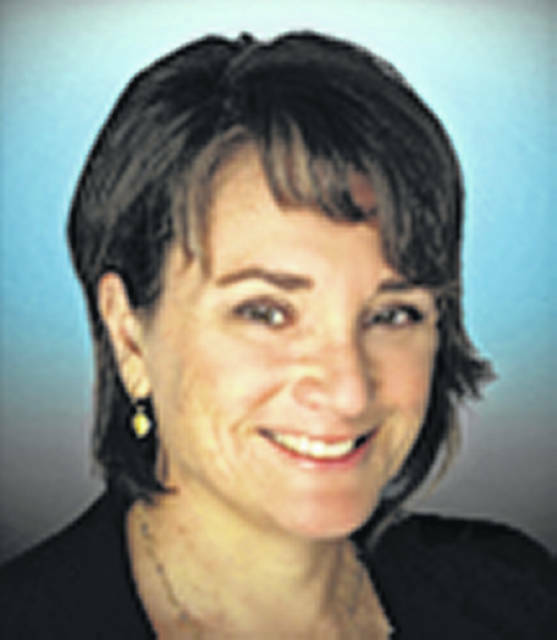 McCarthy, an accountant and business owner, said she is not a career politician and decided to run when she began attending county commission meetings regularly and didn’t like what she found. At a recent forum she said the country is in a crisis socially and economically. 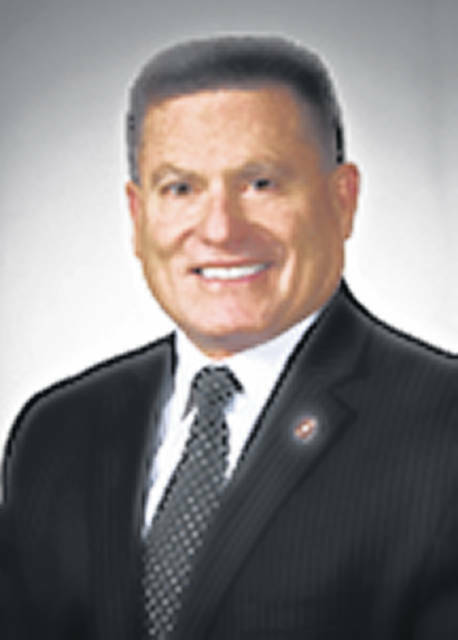 Perales is in his third term as a state rep and previously served as a Beavercreek mayor and city councilman and a Greene County commissioner. A military veteran, he told a crowd at a recent forum that his whole life has been about service and he enjoys being a state rep.
Why are you the right candidate for this seat? “I am the right person for this seat because I am in touch with what people need in District 73. Having run a small business in Greene County for more than 20 years, I know what it takes to be successful, and the impact the state has on that ability. I know what it’s like to have employees, and how to motivate and lead. My accounting background gives me the fiscal skills necessary regarding budgets and cost analysis in the statehouse. My work with a CPA helps me see what local businesses are up against when it comes to taxes and regulations imposed by Columbus. I’ve spent this campaign meeting with local stakeholders and various officials, as well as knocking on thousands of doors, listening to people where they live. I know how to listen and how to empathize with others, and put myself in their shoes. It helps me see the bigger picture and work together with people to come up with solutions to our problems. I take no corporate PAC money, and people will know I’m beholden only to them. I am dedicated to doing everything I can to serve my fellow Greene Countyers, and to help make the lives of everyday Ohioans better. What is the most important issue facing this office going forward and what solutions do you have to offer voters for this issue? “That issue is arguably the growing inequality within our society, since so many other problems we face stem from that. (The rising costs of healthcare, and the benefits to be had through implementation of a single-payer health insurance system are a close second.) The stock market might be booming at the moment, but that doesn’t help the 70 percent of American workers now living paycheck-to-paycheck, or the 40 percent of Americans who report being unable to meet an unexpected expense. Ohio has shamefully slipped below the average median ranking in a dozen different national economic performance categories, and a major way of redressing it is by bringing balance back to the Ohio tax system. Lawmakers have switched our taxation from income and capital gains taxes more onto sales and property taxes, and have left Ohio one of only six states that have no corporate income tax. “My entire life has been about service. I’ve served our country in the military, as a leader in higher education, in local public office, and I look forward to continuing to serve the 73rd Ohio House District. I stand behind my record of public service as a mayor, county commissioner, and state representative. I pride myself on my availability, responsiveness, and the conservative values that guide me in my decision-making. My daily decision-making is informed by the input and ideas I receive every day from constituents across the entire district. Serving the public, making our community, this state, and the country a better place to live and raise a family is my passion. “1.Opioid/drug crisis — The opioid/drug crisis affects nearly every community and family in Ohio. This is a crisis that will not be resolved by the government alone, it will take all aspects of our community to combat Ohio’s drug abuse problem. During this current term, we put $180 million into the critical aspects of dealing with this crisis — prevention, treatment, mental health and workforce programs. Working closely with the Secret Service, my House Bill 405 (waiting on governor’s signature) will cut back on drug use by cracking down on a major funding source for illicit drug trafficking — counterfeit currency and credit cards. Additionally, as chair of the Finance, Higher Education Subcommittee, we put significant funding into short-term certificates to allow for job opportunities once addicts are clean. These job opportunities allow the former drug abusers the chance to stay clean.